As a human being, we can't avoid aging. In addition to aging, stressful and busy lifestyle of most people nowadays has fasten the process of aging. Do you know in fact, we can age well by reducing the impact stress has on our skin. 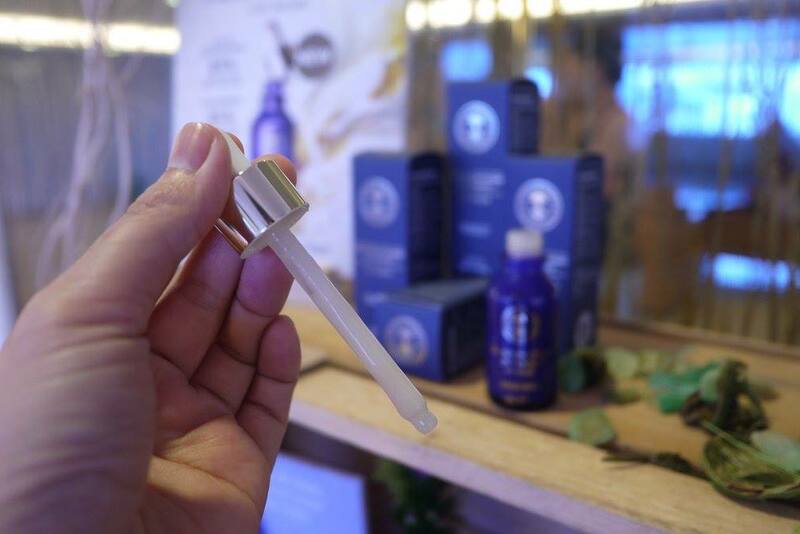 In conjunction with the grand launch of Frankincense Intense™ Lift Serum - Neal’s Yard Remedies latest anti-aging serum, Neal’s Yard Remedies Malaysia had held a relaxing Yoga session with the media and bloggers some time back. By destress & relaxing our mind, it seems that age well, stress less is possible. The new Frankincense Intense™ Lift Serum by Neal’s Yard Remedies has a breakthrough mindful beauty solution harnessing the ancient power of frankincense (sustainably sourced from Oman) and over 15 years of Neal’s Yard Remedies research into its amazing properties. 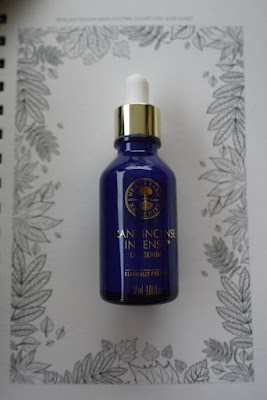 It has been developed by their scientists to release the beneﬁts of frankincense alongside their lifting technology of micro algae, linseed oil and ribose to visibly lift and recontour the skin. Hyaluronic acid also prevents the breakdown of collagen, stimulates elastin production and plumps the skin. 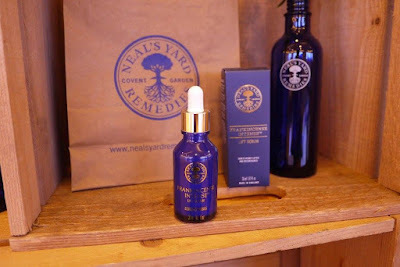 This super serum is clinically proven to help you stress less by promoting a sense of relaxation and wellbeing through the aromatic beneﬁts of frankincense resin extract and frankincense essential oil. By inhaling the therapeutic aroma as you massage it into your skin, studies show the heart rate lowers and emotional stress begins to melt away. Treasured for thousands of years for its rejuvenating properties, inhaling the therapeutic aroma of this sacred ingredient is clinically proven to promote a feeling of wellbeing and relaxation*. The high quality Frankincense resin in our serum is extracted from the Boswellia sacra trees that grow in the Dhofar region of Oman. Over time the levels of your body’s natural hydrating molecule, hyaluronic acid, gradually decrease. The hyaluronic acid in this serum helps plump deep lines and wrinkles. In nature, protein-rich micro algae can protect themselves against harmful environmental stresses. The micro algae in this serum act in a similar way and can help to boost your skin’s natural elasticity. The body’s own natural sugar, ribose is involved in improving your skin’s cell function. Clinical studies have shown ribose helps with the reduction of wrinkles and provides a radiant appearance. One of the richest plant sources of essential fatty acid, omega-3, this oil hydrates the skin and can help to recontour the face. Frankincense Intense™ Lift Serum comes in a glass dropper bottle of 30ml each. 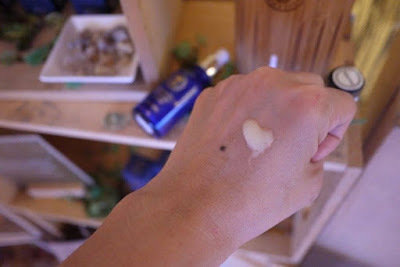 The rich serum is quite easy to absorb, skin feels tighten and lifted within the first few usage. 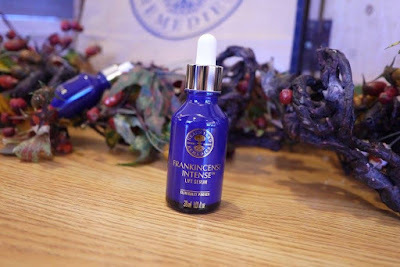 Packed in the classic beautiful Neal’s Yard Remedies' paper box, Frankincense Intense™ Lift Serum is retails at RM549 each. Neal’s Yard Remedies is available at Bangsar Village I, The Gardens Mall, Sunway Putra Mall, The Starling Mall, Isetan 1 Utama and Isetan KLCC. Haven't try this brand yet. Is it good? I need this too. The bottle itself look luxury. nice product. would love to try it out!